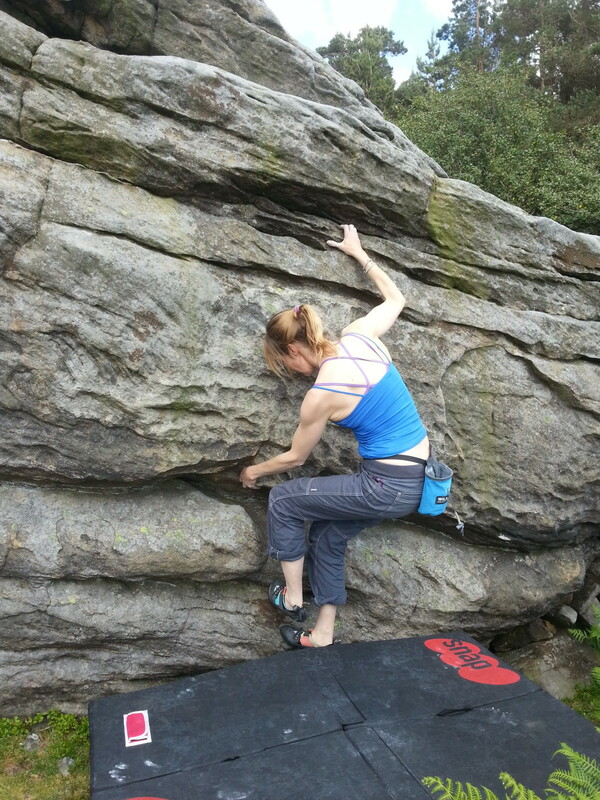 Hey all, spent a lovely sunny afternoon bouldering at a new crag. 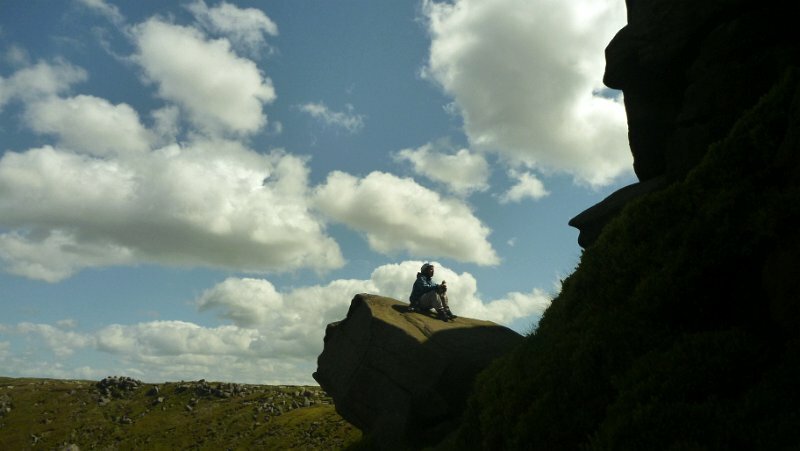 Just over an hour from york, lovely moorland surroundings, tons of low to mid grade routes, none too high, all in superb frictiony gritstone with less polish than Mrs Brown, and soft bilberry and turf landings. 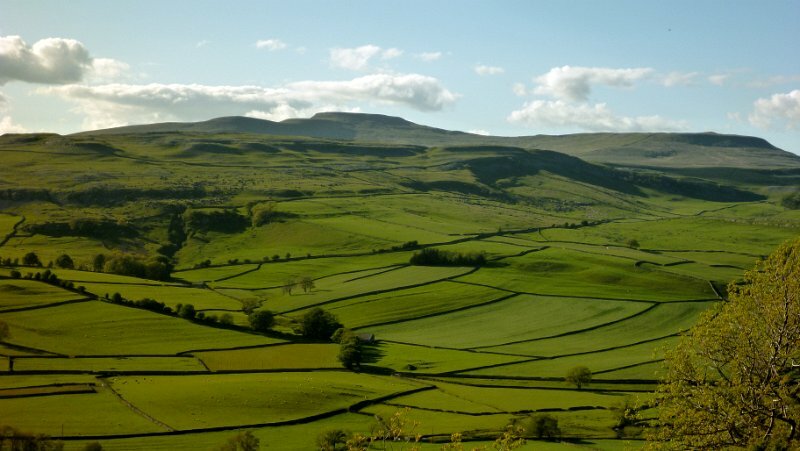 "Where is this unspoilt gem? " I hear you all cry (except for Simon Caldwell who's muttering "bloody bouldering"). Ah, but to learn the answer you will have to bribe Peri and Catherine with cake…. so it's time to stop moaning about the cold and start complaining about the heat. Which is what we duly did at Wharncliff on Tuesday. We started with a few obscurities – Ladder Crack (Diff), Biffo (S) and Wobbly Block (VD, though I made it look much harder), before returning to the beaten track. Richard led Hell Gate (VDiff – but felt harder with the polish); we all soloed Hell Gate Gully (Mod); and Carmen led Himmelswillen (VS). Much use was made of knees by all concerned. With no other takers for climbing yesterday evening, David and I had a plan for Highcliff Nab near Guisborough. After a pleasant walk up through the woods, the crag soon came into sight and we headed for the central ‘picnic block’ to survey the scene. Our current climbing standard dictated that we ignore the shaded but apparently very good north face (if you are climbing E grades), so we turned our attention to the easier west face that was bathed in evening sunlight. The guide warns of vegetation due to lack of traffic and loose finishes, but we found a few routes that appeared to be clean. The guide also warns about lack of belays at the top, but I spotted a stake well back. I only had my 30m ropes for climbing and it was debateable whether these would be sufficient to reach the stake, so I ‘pre-installed’ the top belay using a spare 10m rope offcut. 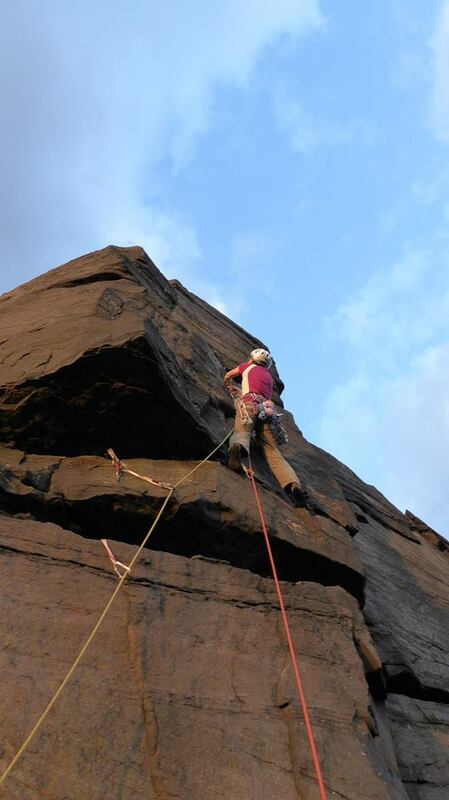 Our first route was ‘Ladies First’ (HVD according to UKC). This was surprisingly good and with sufficient gear, although careful placements were required to avoid some of the softer rock. On approaching the top though, I realised with horror that I still had another 5m of near vertical grass, mud and loose rock to overcome before reaching the dangling karabiner on the belay rope. I threw in additional gear behind loose blocks for luck and gingerly made my way up, topping out with the aid of a side pull on a rabbit hole. In hindsight, I should have made the belay rope longer, but that wouldn’t have been sporting, would it? Next, David led another HVD, North West Route, awarded two stars by the guide. This was a very good route with an interesting move around an inconvenient jutting block before some satisfying moves up right of an overhang, finishing this time on relatively clean and solid rock. By now, the light was beginning to fade and the creatures of the night were emerging (little bitey ones), so we decided to leave the three star Highcliff Crack (S) for another occasion. 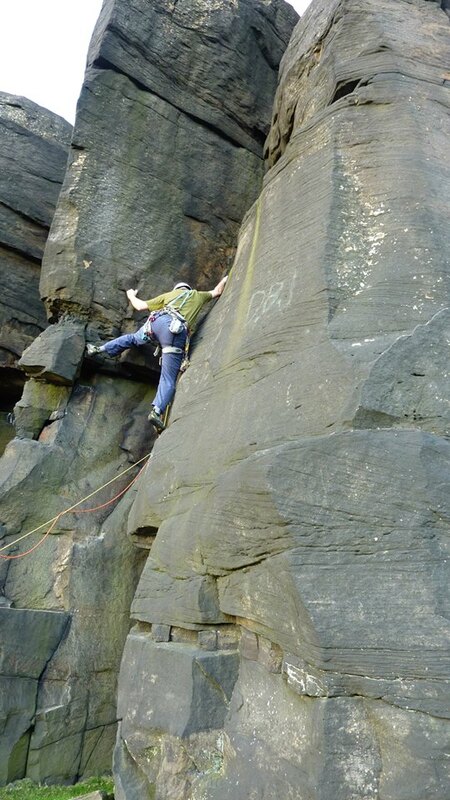 In summary, an under-rated crag in a lovely setting and with routes of a good length for moorland sandstone. Well worth a visit if you don’t mind a bit of adventure on the easier routes. With westerly gales forecast we decided to head for something east facing, and after much reading of guidebooks decided on the northern edges of Kinder – specifically, Chinese Wall. A beautiful walk in up the valley led to the crag. 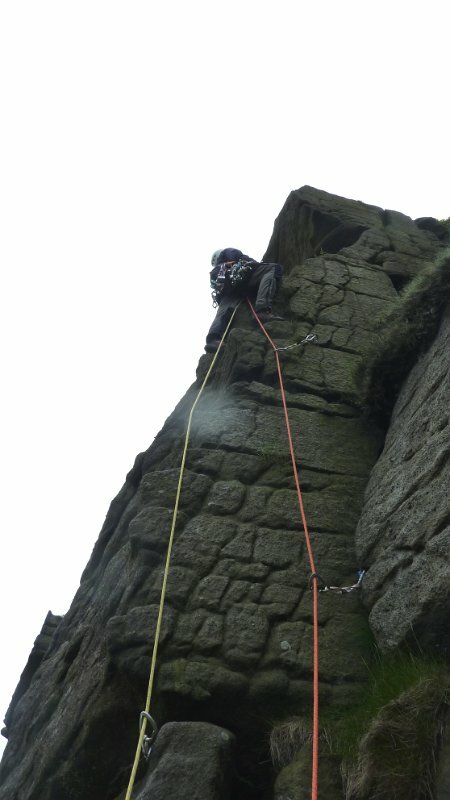 Unfortunately, although it was out of the worst of the wind, some of it was channelled round the sides of the crag, so it wasn't quite the sheltered spot we'd hoped for. Still, we'd come this far, so stuck it out! I started with Communist Route (VD), Carmen followed with Nationalist Route (S 4b – nails for the grade, I've done easier VSs), and I then led Mandarin Arete (S 4b, VD in the old guide, I thought more like VS 4b – maybe we were having an off day!). After this we fancied something easier, so headed towards Misty Wall on the other side of the valley. This is a classic VS 4c, so not easier at all, but we've done it before so had an excuse to walk on by. We finally settled on G.P. Arete, an obscure HVD. This turned out to be a great little route, and at last one that wasn't undergraded! Then, with a pathetic 4 routes done, we headed home. A great location though, we'll be back when it's warmer! We'd probably have done better heading somewhere lower, and joining the others at Rivelin. On Sunday, the one requirement was for a crag without any jamming, as the rough moorland grit had left its painful mark on our hands. 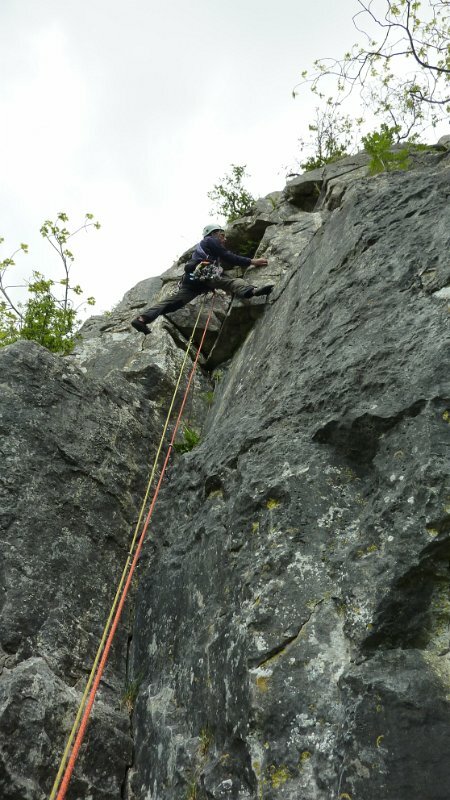 So we decided on a complete change, and went to Oxenber, a limestone crag in the Yorkshire Dales. We'd been there once before, but that was 10 years ago so we'd forgot all the routes. The forecast was for strongish winds at first, easing through the day. The first bit was right, but it actually got stronger in the afternoon, before finally dying down by the evening. At least it was west facing so got plenty of sun! 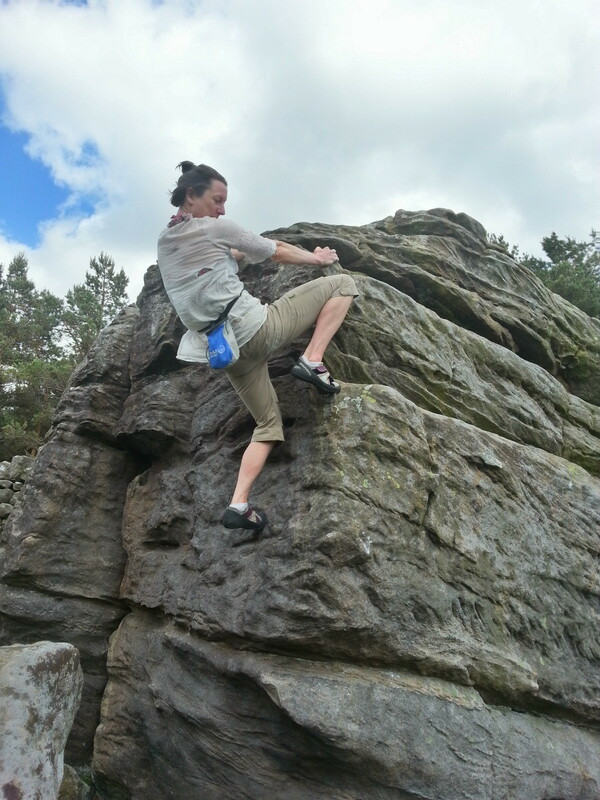 Carmen started with Crossroads Buttress (HS 4b), which turned out to be the sandbag of the crag! Comments on UKC suggest VS 5a may be closer to the mark. After battling for a while, she admitted defeat. I did the same without even trying. Another pair (the only other climbers we saw all weekend) tried it later, they both thought better of it as well. After this things were more successful, and we climbed Twin Cracks (HS 4a, more like HS 4b); White Wall (S); Grandad (S, a great route); Coker (VD but with a polished 4b crux); Little Gidding (VD); Salvages (VD); and Nice (a Severe that lived up to its name). All in all a cracking weekend. You are currently browsing the York Alpine Club Blog blog archives for June, 2015.